This seed will spawn you near a good-sized NPC village. 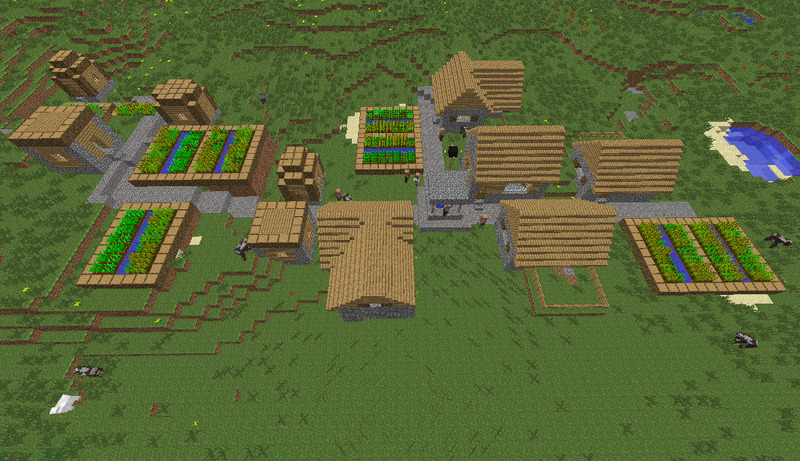 It has all three types of crops in its farms (wheat, carrots, and potatoes). There's a library for a free crafting table and bookshelves for your enchantment table. 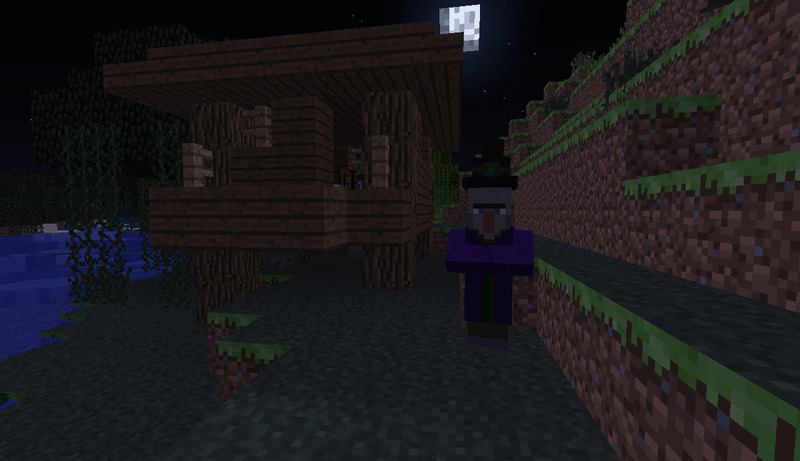 Strangely enough though, there is no blacksmith shop. However, it does have plenty of cows for food, as well as some sheep for wool for a bed to get you started off on the right foot fast. On top of that, it has another odd surprise. See location 1. These coordinates point to the entrance of a cave inside the village. And things only get better still - go on, read about location 2. What's that next to Steve's hand? You guessed it: diamonds! To get to this point, you'll need to go down into the bottom of the cave and widen the gap at around (368, 58, 293) so you can go through it. Then you'll be able to go a few more levels down. Next, there's a 2-block-high at about (375, 53, 294) with some iron ore next to it. You'll want to dig a tunnel there until you hit more air (about 6 blocks long). Then just turn right and keep going down. As you can see, this cavern is just loaded with resources! Just from looking down from all the way up here I spotted those diamonds, some redstone ore, some iron ore, and of course, there's coal everywhere! If you can get down there safely, you've got yourself one heck of a mine! 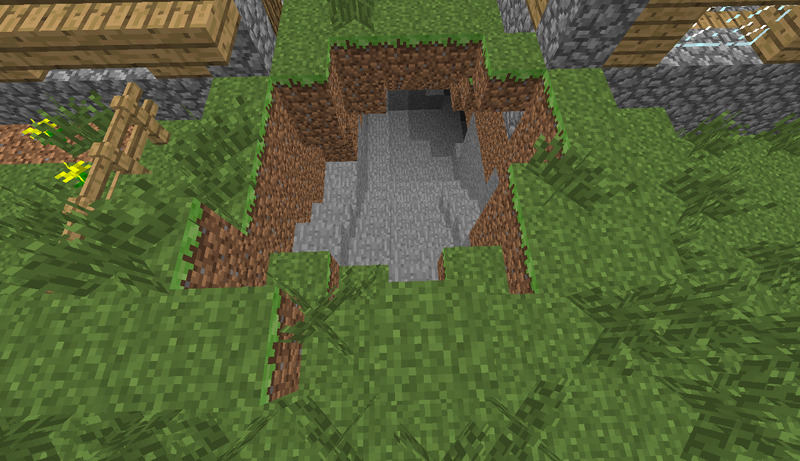 Just be sure not to let the villagers fall down there. They go pretty far. In fact, just as I started heading back, I saw a librarian that almost fell off the huge cliff! I'd suggest patching the hole and adding an iron door at the bottom of a staircase. 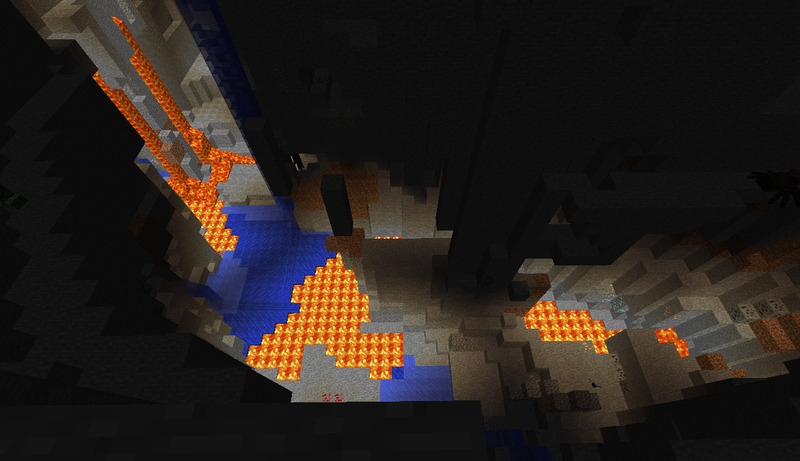 And of course, torches, torches, and more torches everywhere! Want to take on a witch? Well, here's your chance! 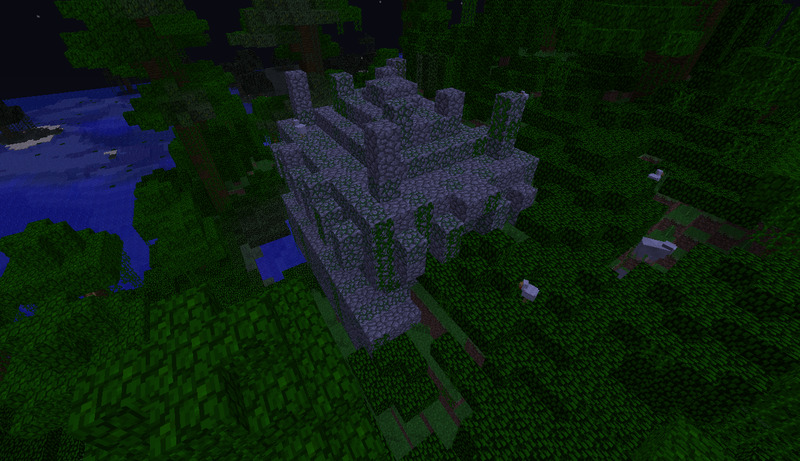 There's also another jungle temple at (640, 65, 725). The unhidden chest in that one contains 4 iron ingots, 8 bones, and 12 pieces of rotten flesh. The hidden chest contains 7 gold ingots, 5 bones, and 17 pieces of rotten flesh. Bones and rotten flesh may not be so great for you, but the wolves they tame, feed, and breed are very powerful allies and not to be underestimated. If nothing else, you can make bone meal with the bones for fertilizer. Anyway, enjoy the seed!